You are here: Home / Science and Tech / Life on Mars? Some time ago I posted about the arrival of NASA’s Phoenix Lander on Mars. I noted that the initial images were essentially a postcard letting us know that it had arrived on the red planet and was getting ready to do some work. One of the primary objectives of the mission was to explore the possibility of water ice being just below the surface. Sure enough, in not much time at all, Phoenix has discovered exactly that. 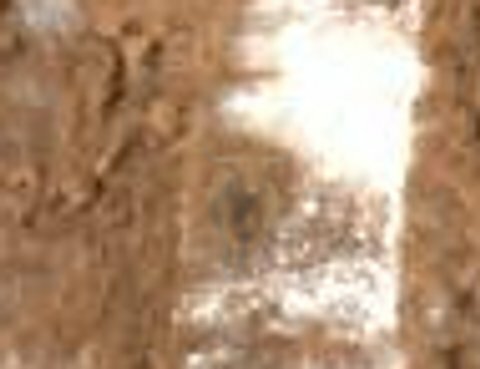 We know that the white stuff in the shallow trenches it has dug is not carbon dioxide ice, because the low was a balmy -80 degrees Celsius, about 45 degrees too hot for carbon dioxide to freeze. Phoenix also observed the ice exhibit some strange behaviour. Within the space of four Martian days, some of it had disappeared. That’s right, it had vanished. A mystery? Not according to the scientists. They allege that it can be explained by a process called sublimation, whereby ice tranforms directly to vapour without going through an intermediate liquid state. Wired offers an explanation of this process in their faq on the subject, utilizing all manner of sciencey terms like millibars, and molecules, and equilibrium, and even going so far as to include a phase diagram for water with your ubiquitous x and y axes. They are trying very hard to make it sound credible. Trying a little too hard, perhaps. Common sense based on experience tells us that when something goes missing, it is because we have misplaced it, or because someone has taken it. Yet rather than examine the obvious, NASA trots out pseudo-scientific jibber-jabber. What are they trying to hide? Perhaps we should take a closer look at another of those Mars photos. Let’s zoom in a bit. Clearly, there’s something there. Computer, enhance image. And there you see the culprit! It is none other than the tiny shaggy ice bull of Mars, no doubt licking up the water ice, a precious resource generously exposed by the metallic visitor from the blue planet. I would not be surprised if there was a herd of them in the shade where the chunks disappeared from, but we would need a very high resolution picture to see anything. It was hard enough teasing out that lone ice bull from a bright part of the image. 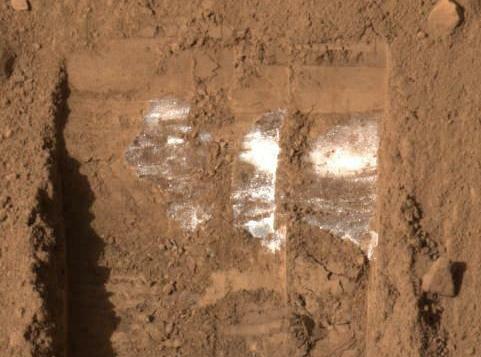 So why has NASA yet again hidden evidence of life on Mars? Are they planning along with the U.S. military to test some doomsday weapon there, and don’t want us to know? 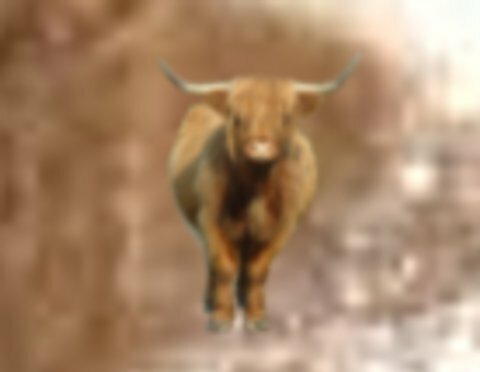 In addition to this gentle xenobiological bovine, how many other diminutive Martian species do they intend to wipe out? Be vigilant, gentle reader, for whatever they have in store for Mars, it is only the testing ground for what they will unleash on Earth. As go the ice bulls of Mars, so go we.